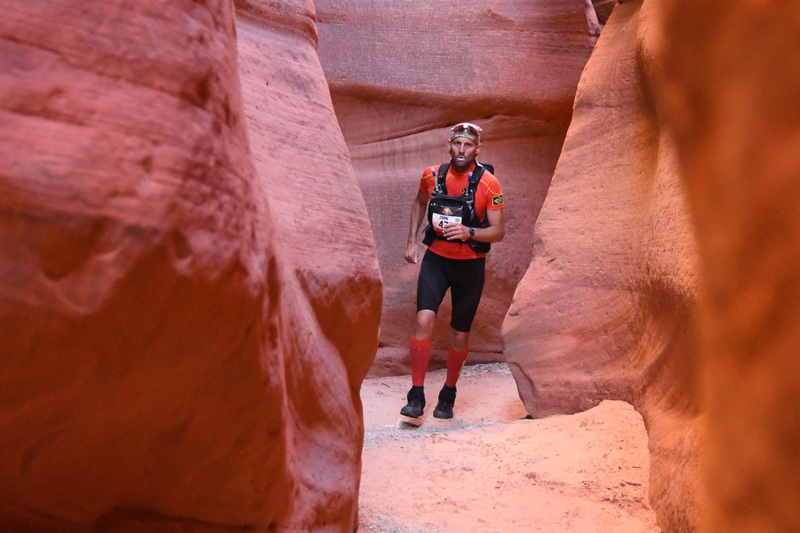 ST. GEORGE — Runners from across the world will be racing 170 miles through slot canyons, over sand dunes and around cactuses in the desert of Southern Utah and Northern Arizona later this month. 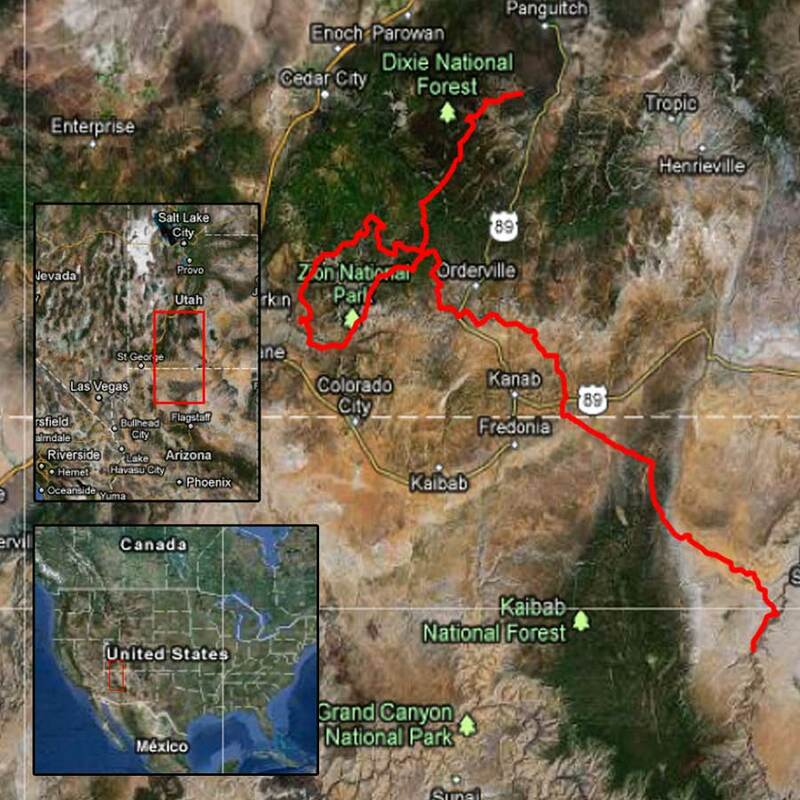 The “Grand to Grand Ultra” will have 138 competitors from 25 different countries race from the North Rim of the Grand Canyon to Grand Staircase-Escalante National Monument from Sept. 23-29. The race has six stages over seven days and boasts a total elevation gain of 18,000 feet, which is much more than the elevation gain climbers ascend on Mt. Everest. As if traveling that far on foot isn’t hard enough, runners will also need to carry their gear on their backs the entire time. Water is provided, but everything else, including sleeping bags, food and clothing, will need to be carried by each competitor on his or her back. One of the participants in this year’s race is Scott Wyatt, the 57-year-old president of Southern Utah University. Wyatt is running the race with two other faculty members at SUU to raise money for the construction of a on-campus day care for students’ children. Although he’ll still be in Southern Utah while running most of the race, he won’t be attending to his job at SUU. There won’t be any phones or internet on this race. Almost every day of the race, competitors are expected to go at least 26 miles, which nearly equals a marathon a day. After a hard-earned night’s rest, the race continues each morning. During the third stage, however, racers will run through the night and over two days, traveling about 52 miles. The last and sixth stage is a relatively easy 7 miles to the finish line. While Wyatt is active, this is the first ultra race he has ever attempted. He’s never even run a marathon before, but he’s hoping the experience and strength he’s gained through backpacking and hiking will help him on the race. 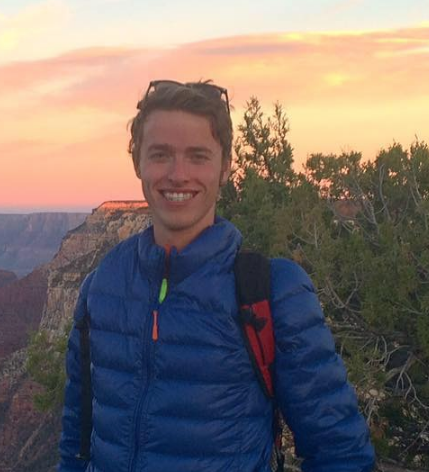 The Grand to Grand Ultra will also be the first ultra race for William Heyborne, another SUU faculty member competing in the race. Running too much and intensely training for Grand to Grand caused Heyborne to receive stress fractures on his leg over the summer. His stress fractures even turned into real fractures when he wouldn’t stop running in preparation for the race, he said. After recovering for about six weeks, Heyborne is back to training; he’s still committed to completing the race later this month despite his injuries. A typical training run for Heyborne is anywhere from 8 to 20 miles, he said. 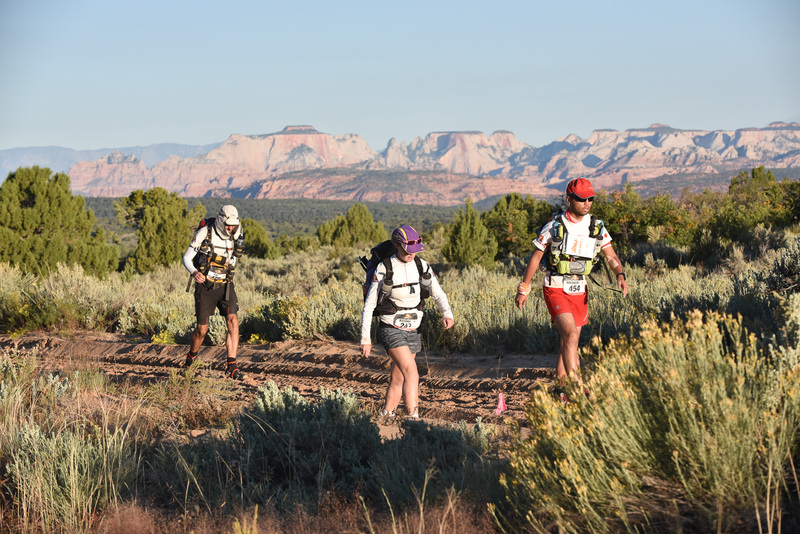 Gordon Harris, another competitor in the race from Kanab, will have also never run an ultra race before he embarks on Grand to Grand, but he has plenty of experience backpacking long distances. 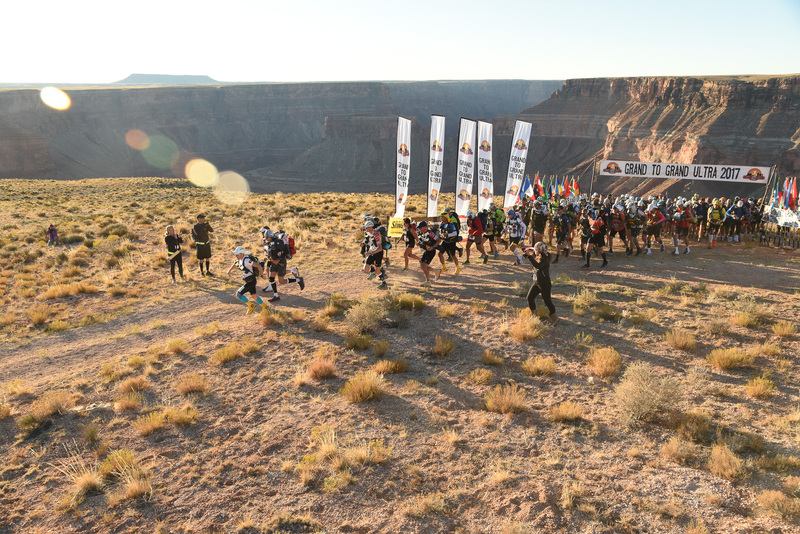 Pushing oneself to the absolute limit is not the only reason competitors are entering into Grand to Grand Ultra. Many racers are supporting charities while racing. The racers from SUU, including Wyatt and Heyborne, are running Grand to Grand in an effort to raise money for something Wyatt said has been lacking on his campus. Southern Utah University does not have an on-campus day care for children of students, so Wyatt decided to try to raise the final funds needed to build a day care on campus through running Grand to Grand. Through previous fundraisers and through Grand to Grand, SUU has raised about $1.3 million for the day care center, an amount Wyatt said is “close to what we need right now.” The rest of the funds will hopefully be donated by donors who learn about the cause through Grand to Grand, he said. Harris was granted a scholarship for the $3,550 entry fee to compete in the race this year, but he’s also racing for a good cause. Harris, who works in wilderness therapy for abused children or children with behavioral issues, is raising money for the Kane County Children’s Justice Center, which helps children who are abused or caught up in court cases. While most of the runners in Grand to Grand Ultra are from outside the U.S., Harris is still sizing up the local competition, especially Wyatt and the SUU team. Those interested in tracking the racers during Grand to Grand Ultra later this month can do so online once the race begins.